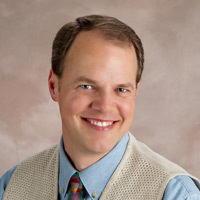 Dr. Bridge is board-certified in Family Practice. He graduated from Michigan State College of Human Medicine. He is a member of the American Academy of Family Physicians, Washington State Medical Association, Chelan Douglas County Medical Society, and New Mexico Medical Society. His wife, Danielle, is an OB/GYN physician; she is also practicing in Los Alamos. They enjoy cooking, gardening, reading, downhill skiing, hiking and spending time with their children, Risa and Keith.